CarbonMiata rear diffusers MAZDA - MiataRoadster - Stay tuned with MiataRoadster! 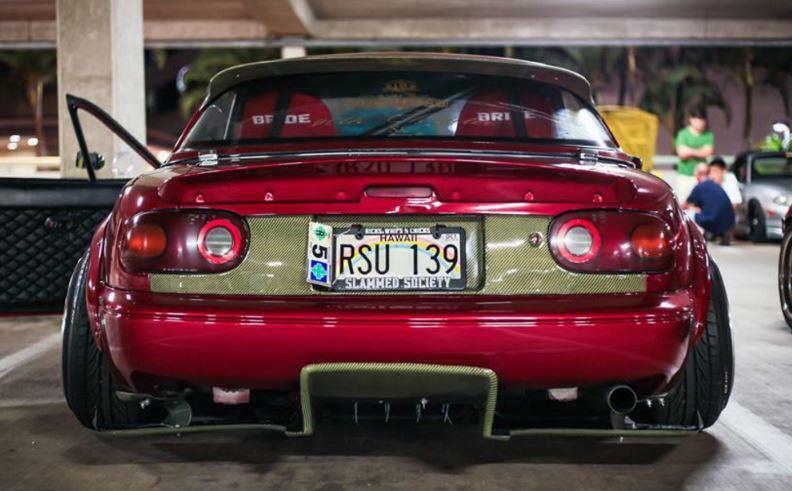 Carbon Miata rear diffusers are lightweight carbon fiber diffusesr for RX-7 FD that have been modified to fit in the back of the Miata. It creates a low pressure area under the car, essentially sucking it towards the ground. This allows the car to travel faster through corners. Available in Fiberglass (FRP), Carbon Fiber (CF) and Carbon Kevlar (CK). You can select the material to see the price.